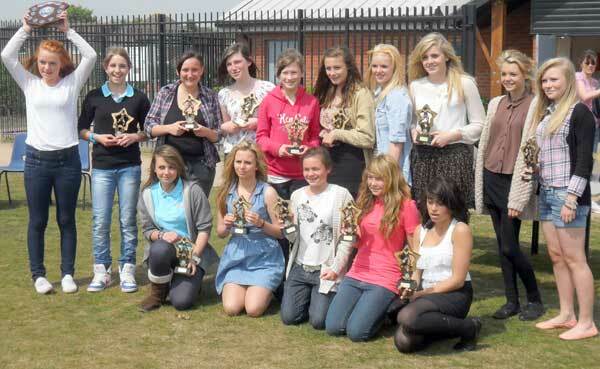 Congratulation to the Gorleston Rangers Under 14 girls team. Deservedly suffered our first defeat in 14 months against a good St Benets Wasps 'A' side in NSYL cup final 2 – 4. We started off very sluggishly and found ourselves 1-0 down in three minutes and 2 – 0 down after 11 minutes and never really got going. This season the boys have been superb, but on Sunday our many match winners all seemed to struggle looking heavy legged. With no one putting their foot on the ball, our play was to quick and passing poor as we tried to force play. With defenders being the wrong side of the attackers, not standing up the opposition and going to ground, we were the architects of our own downfall for the first two goals. Charlie pulled a goal back from the penalty spot. HT 1 – 2. Second half we didn't improve and the St Benets number 11 hit a superb brace of goals from distance giving goal keeper Max no chance to compound our problems. In between Charlie calmly slotted home from the spot for his second goal. George had a couple of chances, one of which produced the save of the game from the St Benets keeper. FT 2 – 4. MOM: Bradley and George, probably the only two boys who played to their normal level. On the day St Benets Wasps 'A' fully deserved their win. Thanks to Lindsay from Saks Hair & Beauty for sponsoring the boy's cup final polo shirts. 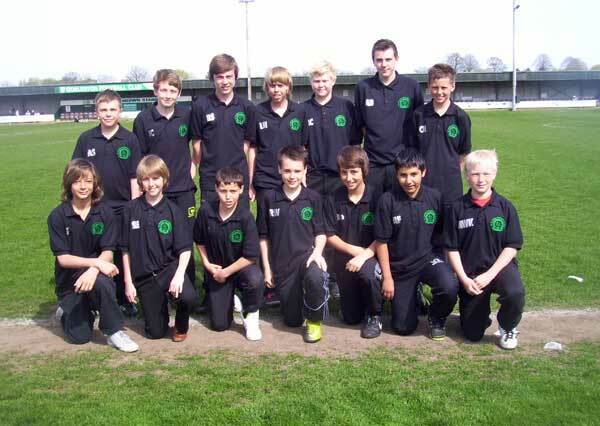 Gorleston Rangers Under13a won the SCI under 13 tournament on a very windy Mill Lane. With four games each day, we played the other four teams twice and deservedly topped the league, being the only undefeated team in the competition. On the Saturday we started slowly drawing with a good Sandgate FC 1-1, (George). We missed many chances in this game, with the Sandgate FC assistant referee flagging for many offsides. We played a good Norwich United and ran out 2-0 winners, (George and Adam), Our third game was against unbeaten Blaby & Whetstone. This was our best performance of the day with George scoring a great left foot strike from twenty yards after a great defence splitting pass from Jack. In our final game on day one we defeated a sporting Ickenham Youth 5-2, (Isaac (3), George and Jordan after a mazy run). Second day we played much better and opened up defeating Sandgate FC 3-1, (George, Isaac and Jordan). We followed this up with another 2-0 victory over a good Norwich United in a tight game, (Adam and George). Game three was very entertaining against a Blaby & Whetstone which ended up 1-1, (Charlie). This was a game that will remain long in the memories of those present. The boys turned in a very disciplined performance in this one and were very unfortunaste not to win. Our last game resulted in a 1-0, (George), win over a much improved Ickenham Youth. 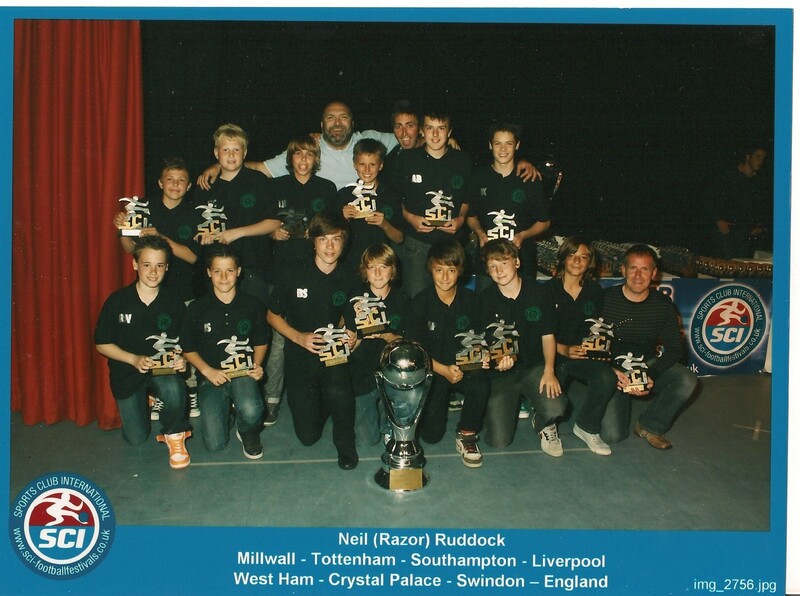 Gorleston Rangers '13A' Champions again! Congratulations to the boys on winning the N&SYL division 1 title for the fourth consecutive year with three games remaining. We defeated Kirkley & Pakefield 'A' at Walmer Road 8 - 1 to secure the title. Not our most fluent performance of the season, as Kirkley & Pakefield 'A' worked hard throughout to make it difficult for us. 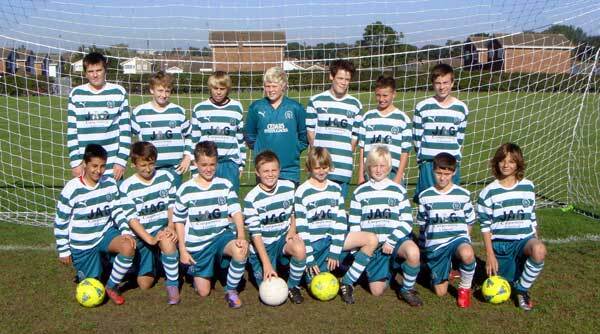 Goalscorers: Sam (2), Adam (2), Charlie (2), Jordan and George MOM: Jordan. Training as usual this Saturday morning 9-30 to 11am at Wroughton. Special thanks to our sponsors JAG Carpentry Limited, Cedars Steeplejacks and Glenfield.